The chronograph is without the most popular complication in the realm of mechanical watches. In addition to the usual time functions, the chronograph enables you to measure the duration of an event to an accuracy of typically a sixth, eighth or a tenth of a second. Usually it has two pushers, one for starting and stopping the stopwatch function, the other for resetting it. The chronograph has a long history. When Antoine Norbert de Patek visited America in 1854, he wrote, “Americans demand above all inexpensive watches which nonetheless enable them to determine the speed of their horses to a precision of a quarter of a second.” This provides a clue as to the origin of the chronograph. 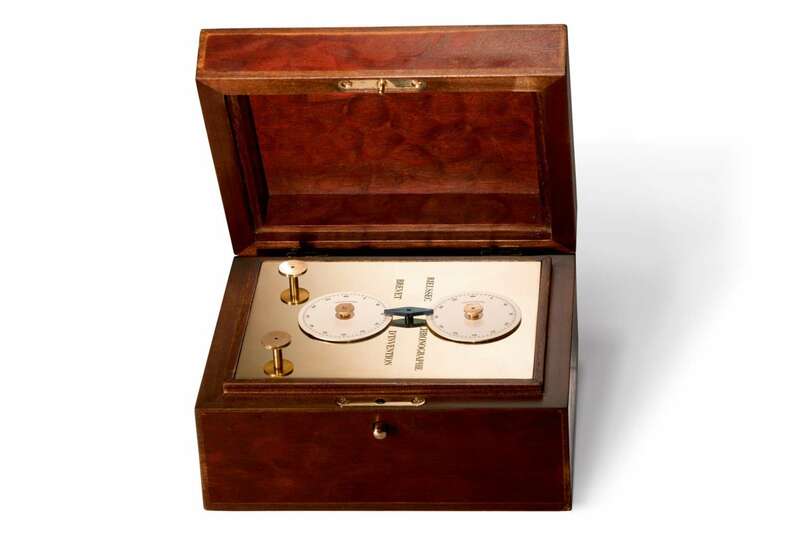 In 1820, French watchmaker Nicolas Mathieu Rieussec invented a timer with two rotating discs on which a nib deposited drops of ink when the operator pressed the button. 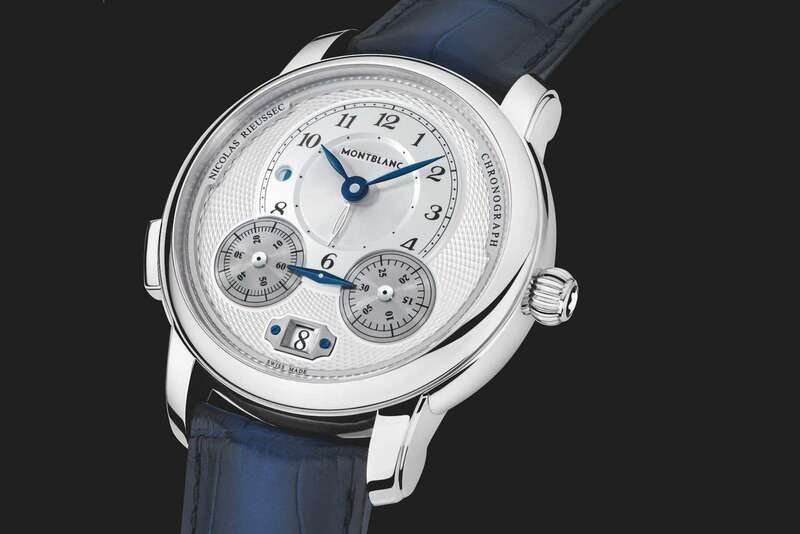 This is now celebrated by a contemporary chronographs by Montblanc included below. 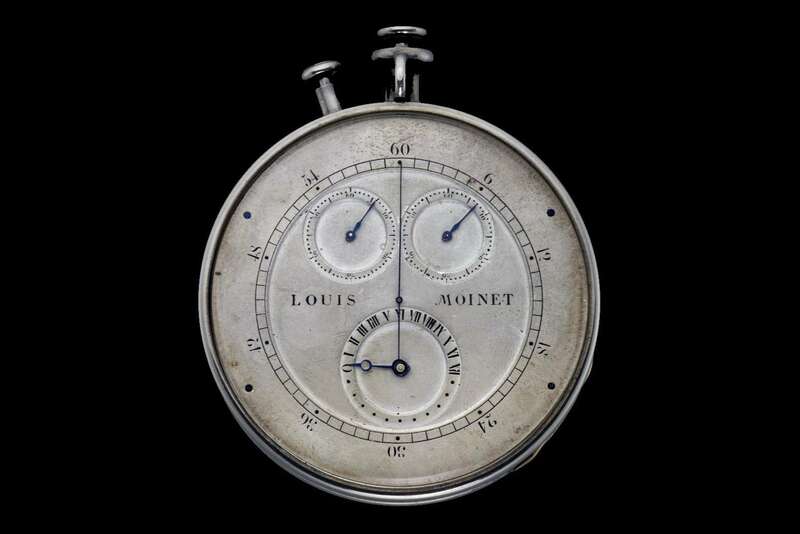 But more recently, a remarkable stopwatch was discovered, built in 1816 by French watchmaker Louis Moinet, a piece not unlike modern chronographs in appearance, and capable of measuring times to a precision of 1/60th of a second. 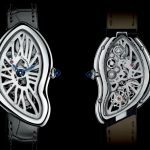 Louis Moinet is now the name of another independent watchmaking company. 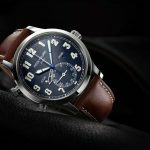 In this article we take a look at ten chronographs available on the market today. The Daytona is one of the most famous watches in the world, with a history running back to 1963. 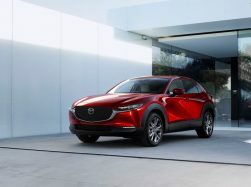 Its name comes from the Daytona racing circuit in Florida, and its fame was helped by Paul Newman, who according to legend wore a Daytona every day from 1972 up until his death in 2008. In October 2017, a Daytona owned by Newman was sold by auction for $17.75 million, making it the most expensive wristwatch ever sold. The dial is masterly in its simplicity, with a scale marked in fifths of seconds, subdials for chronograph hours and minutes, and a running seconds subdial at 6 o’clock. 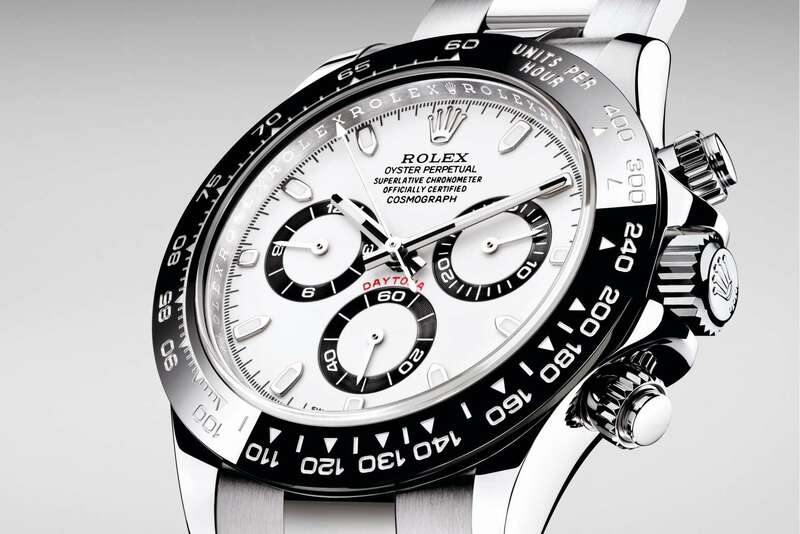 The Rolex Daytona is powered by the 4130 calibre, entirely designed and built in-house, a movement with the most prestigious layout for the chronograph mechanism with column wheel and vertical clutch. This means that you can leave the chronograph running continuously, with no adverse effects on wear or power consumption. Crown and pushers are screw-down, helping the watch attain a water resistance of 100 metres. This model in stainless steel, reference 116500LN, costs €11,550. More at the Rolex website. The Omega Speedmaster is a watch that has become a legend primarily due to the fact that it is the only watch approved by NASA for manned space flights. In 1962, two NASA officials bought a series of chronograph watches anonymously and tested them under the extreme conditions of temperature and pressure that they would encounter in space. Only the Speedmaster survived the tests. Astronaut Jack Swigert famously used his Omega Speedmaster during the Apollo 13 mission to time a 14-second engine burn during the desperate struggle to return back to earth after the explosion in the oxygen system that took place on 14 April 1970. All the electrical systems had been turned off to save power, and the mechanical watch helped save the lives of the three astronauts. Many versions of the Speedmaster have been made: the one shown here is the Apollo 8 celebrating the 50th anniversary of that early mission, the first to complete an orbit of the moon. The dial is partly skeletonized and the mainplate depicts the surface of the moon. 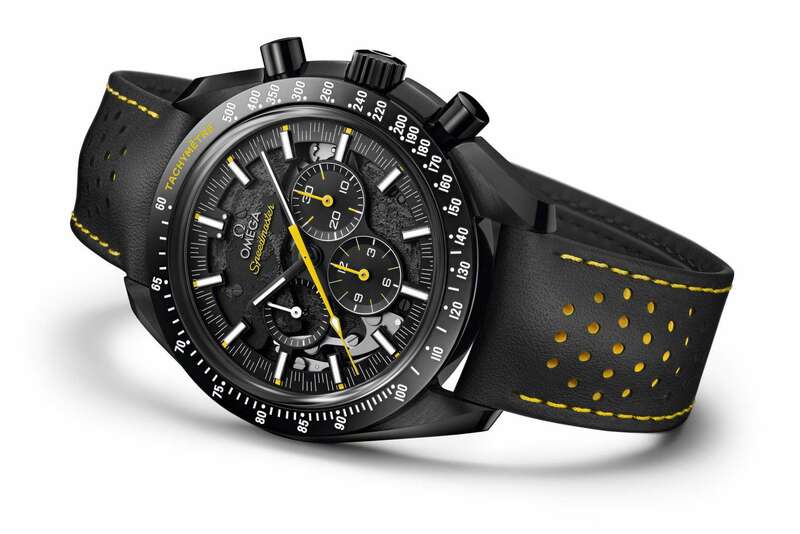 The watch is entirely in black ceramic, with yellow details, and it has the usual arrangement of subdials, chronograph minutes at 3 o’clock, chronograph hours at 12 o’clock, and continuous seconds at 9 o’clock. 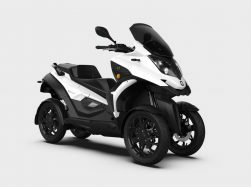 It costs €8,900. More from the Omega website. 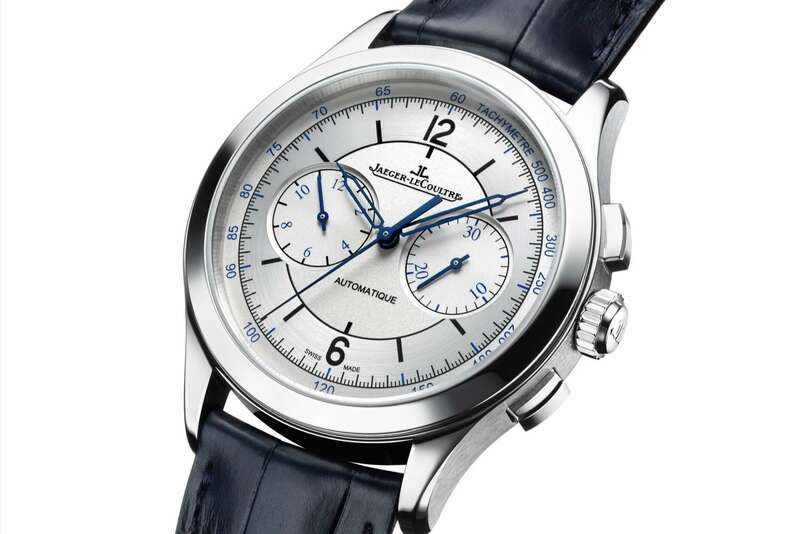 The Master Chronograph by Jaeger-LeCoultre has a simplified dial, with just two subdials, for 30 chronograph minutes and 12 chronograph hours. There is no running seconds subdial, but, with the movement’s column wheel and vertical clutch, you can simply leave the chronograph running if you want to see the seconds ticking by. Legibility is enhanced by the open-worked hour and minute hands. The dial, with differentiated brushed and opaline finish, and scales in black and blue, has a lot of beauty and distinction. 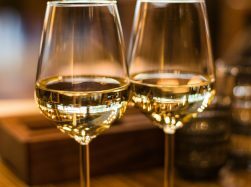 At €8,450, considering the finish and the in-house movement, this is excellent value for money. Reference 1538530. More at the Jaeger-LeCoultre website. 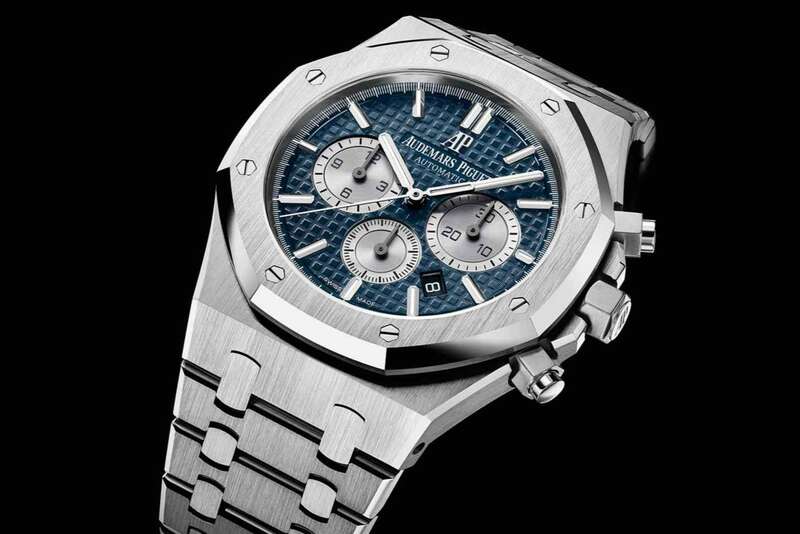 With its steel case, octagonal bezel, “Tapisserie”-textured dial and integrated bracelet, the Royal Oak, first presented in 1972, has become a classic of modern watchmaking. In the chronograph version, the pushers add to the overall theme of octagonal geometry. There are legends galore behind the Royal Oak and its origins. The day before the 1971 Baselworld watch fair, Audemars Piguet contacted designer Gérald Genta and asked him for a design proposal for a steel watch by the next morning. Genta, inspired by an illustration of an antique diver’s helmet, invented the distinctive octagonal bezel with exposed screws, and the integrated bracelet. It was the first luxury watch to be made in steel, and it changed the watch industry forever. The version shown in the photo is reference 26331ST.OO.1220ST.01, and it costs €25,000. See the Audemars Piguet website. The Star Legacy Rieussec by Montblanc recalls the chronographic machine invented by Nicolas Rieussec in 1821. Instead of the usual subdials with small hands, it has a static double-sided indicator in the shape of a pen-nib, and two rotating discs. The chronograph function is operated by means of a monopusher, so that pressing the pusher at 8 o’clock starts, stops and resets the chronograph in sequence. The watch is beautifully finished, with a large crown, guilloché engraving on the dial, and many other details such as the blued steel hands, the frame around the date window, a second hour hand for a second time zone, and the day/night indicator at 9 o’clock. The movement is calibre MB R200, with column wheel and vertical clutch. The Montblanc Cronografo Montblanc Star Legacy Rieussec is reference 118537, and it costs €7,600. 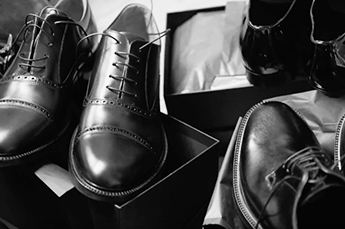 See the Montblanc website. The 1815 Chronograph Black Dial Pulsometer by A. Lange & Söhne is a superb watch with a white gold case, and a pulsometer scale. It is easy to use: you count 30 pulse beats, stop the chronograph, and then you can read off the pulse rate from the external scale. 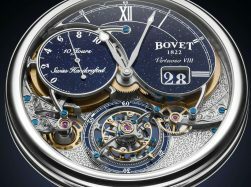 The in-house movement is unusual in that it is hand-wound, making it a fascinating sight when seen through the caseback, and it has a jumping minutes counter, so that it progresses by one minute once that minute has elapsed. This makes it easier to read. 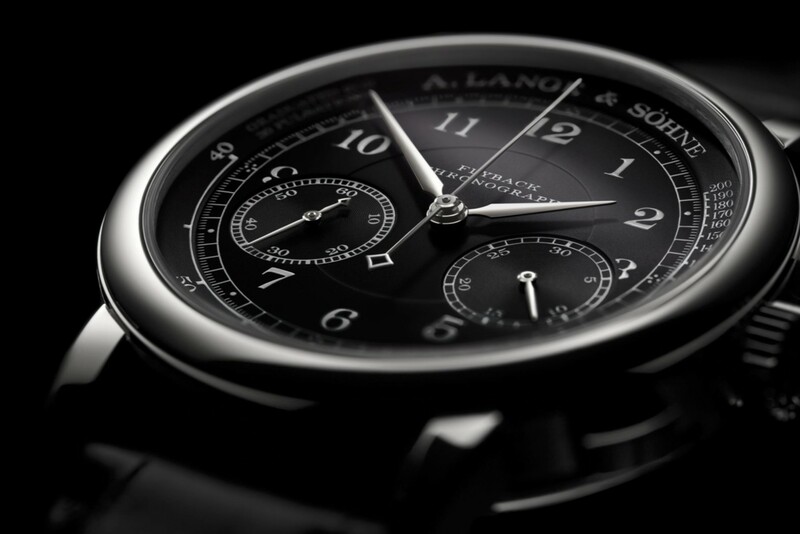 The A. Lange & Söhne 1815 Chronograph Black Dial is reference 414.028, and it costs €49,000. 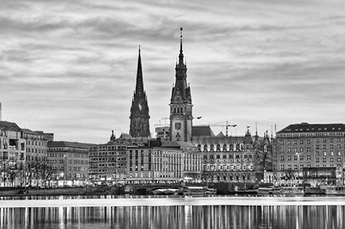 More on the A. Lange & Söhne website. Today’s brand Louis Moinet celebrates the first chronograph built in 1816 with the Red Eclipse Memoris, a design whose monopusher recalls the piece built two centuries ago, and the levers operating the chronograph functions visible above the dial. Other parts of the movement can be seen through the caseback. The watch is a compendium of traditional decoration, with a hand-engraved rose gold case, a dark blue grand feu enamel dial, and an effect of stars in a night sky. The Red Eclipse Memoris is a limited edition of 12 watches, there is still one piece available, price 110,000 Swiss francs. 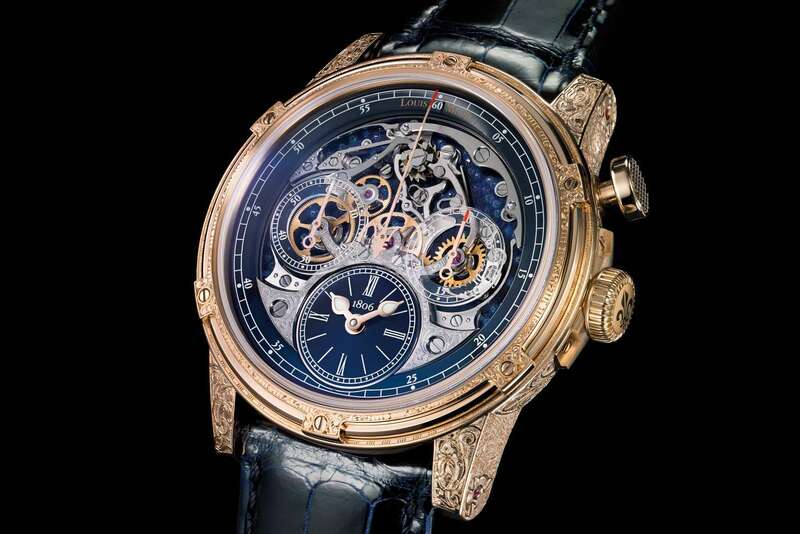 More at the Louis Moinet website. El Primero is a legendary chronograph movement, first introduced in 1969 and one of the first automatic chronograph movements ever built. Its special feature is the high frequency of its balance, 5 Hertz or 36,000 vibrations per hour, that improves precision, providing an accuracy of a tenth of a second. 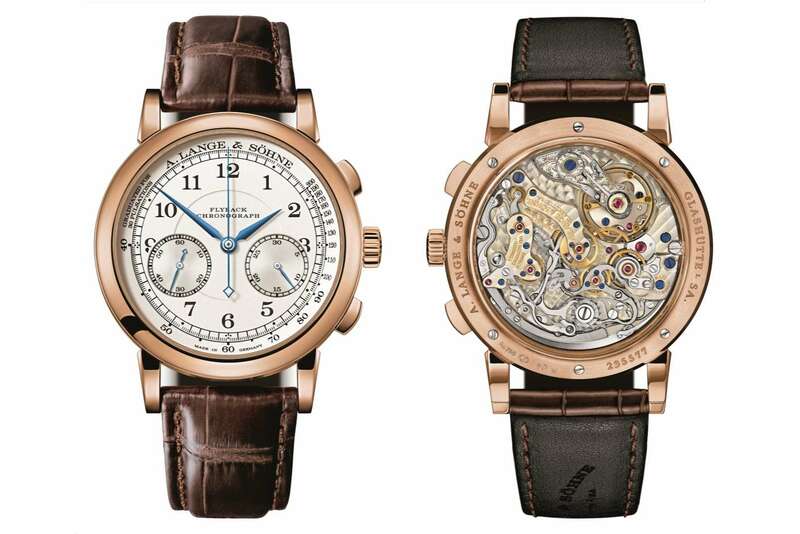 The three overlapping subdials have also become part of watchmaking history. The automotive feel of this watch is reinforced by the piston-shaped pushers. 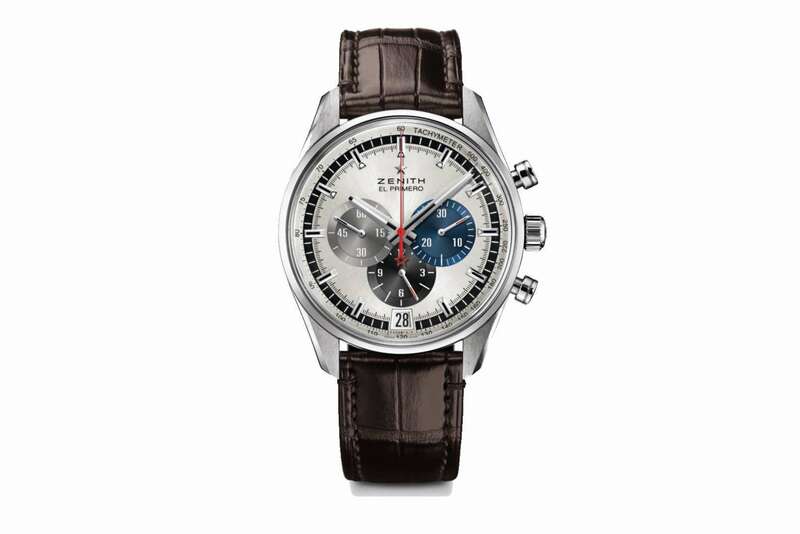 The El Primero Chronomaster by Zenith, reference 03.2040.400/69.C494, costs €6,900. 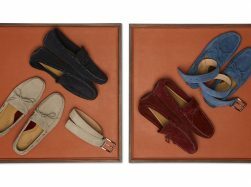 More at the Zenith website. German company Sinn makes tough tool watches, and this piece has a scratch-resistant case, magnetic protection and a water resistance rating of 100 metres. The subdials show a subtle difference with respect to most chronograph watches: the chronograph minute counter on the right shows 60 minutes instead of the usual 30 minutes. This gives the dial a symmetrical layout, with the red hands making it easy to distinguish the chronograph functions from the continuous seconds dial on the left. The watch is powered by the ETA Valjoux 7750, a base movement with a long history, designed in the early 1970s by Edmond Capt. It is a durable, reliable calibre used in mechanical watches by many brands. 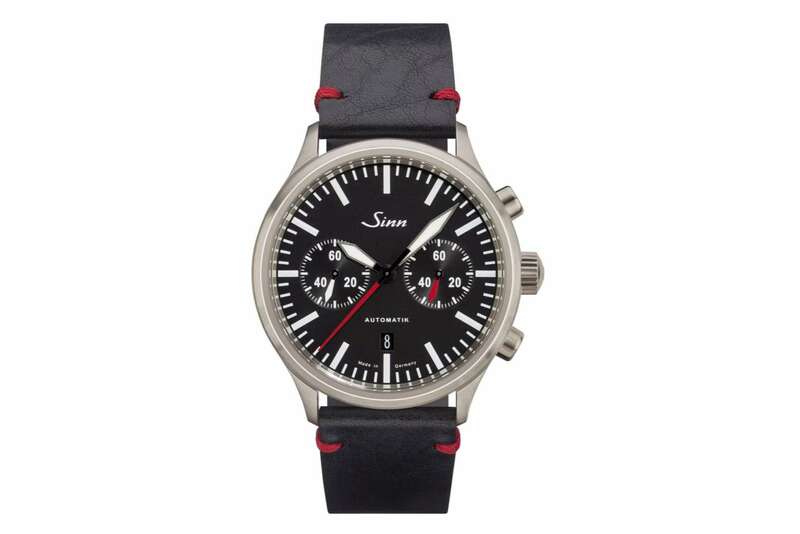 The Sinn 936 starts at €2,890 with a leather strap. More at the Sinn website. This classic pilot’s watch by Longines is based on a 1971 timepiece, unusual for its dial layout in which all the subdials are different, with the 30-minute counter on the right without any numerals at all. The other subdials are for chronograph hours, at 6 o’clock, and running seconds, at 9 o’clock. The result is a watch brimming in character. It is powered by the L688.2 calibre, supplied by ETA (part of the Swatch Group to which Longines also belongs) and a rare example of a column-wheel calibre in a watch with a price under 3,000 Swiss francs. 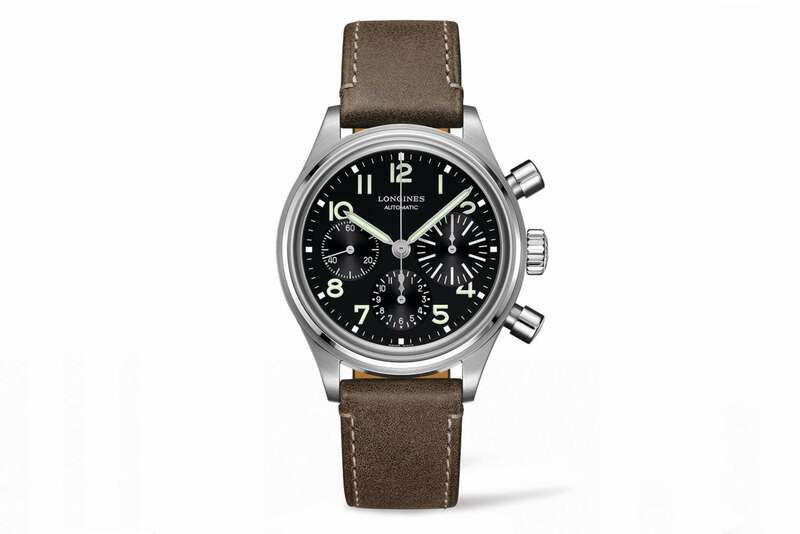 In fact the Longines Avigation BigEye, reference L2.816.4.53.2, costs €2,570. 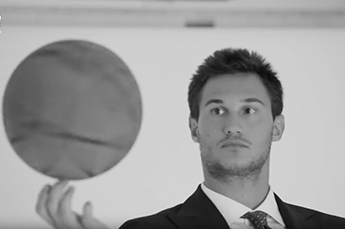 More at the Longines website. With a grand-feu enamel dial, beautiful dial markings, absolute clarity, and an in-house movement with column wheel and vertical clutch, this is a prestigious watch, a limited edition of 1,000 watches. Its gracious appearance is based on the Seiko Laurel, the brand’s first wristwatch made in 1913. The hands, all subtly different, and the lovely numerals, reflect these historical origins. The way that the counterweight of the chronograph seconds hand neatly frames the pivot of the 12-hour chronograph hand is a lovely touch of detail design. 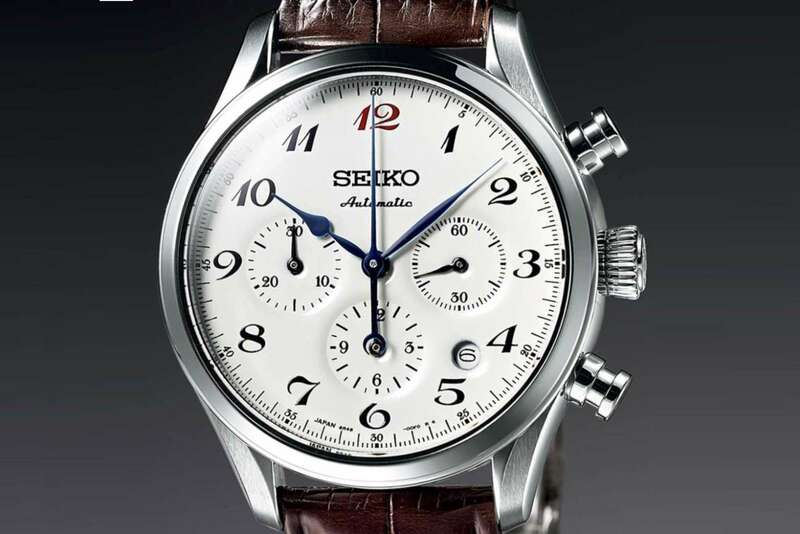 The Seiko Presage Chronograph is reference SRQ019J1, and it costs €2,500. More on the Seiko website.